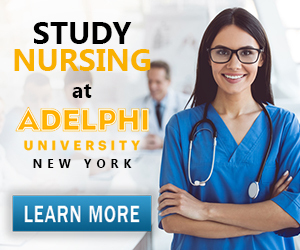 The National Council Licensure Examination, also known as the NCLEX, is a national exam that all nursing students must pass in order to become a licensed registered nurse in the United States. It’s the “Big One.” It is the exam that determines whether you are a registered nurse or not. But don’t fret; your nursing school of choice will groom you to pass this nursing exam from day one. The NCLEX exam is a computerized selective test in which questions are asked based on how you answered the previous question. These questions are based on the difficulty of the previous questions, NOT on how many questions you answer correctly. For instance, there are a total of 3,000 test bank questions; however, you may be given 75 questions minimum to a 265 maximum. Why such a discrepancy? Again, the NCLEX is testing your competence level related to the difficulty level of the questions. The NCLEX test will stop at the point when you can answer half of the questions correctly. For example, let’s assume you have reached the minimum of 75 questions; two things can happen. The test will end indicating that either you are above the passing standard (pass), or the test will end indicating that you are below the passing standard (fail). However, if your competence level is close enough to the passing standard, the computer continues to ask you questions. At some point (depending on your level of questions) the computer will determine if your level is above the passing standard. If it is, you pass; if not, you fail. The NCLEX exam is tricky; gone are the questions based on knowledge and comprehension such as the ones found in nursing pre-requisite classes. Nursing school exams are based on analysis and application of knowledge- all geared towards passing the NCLEX. As I mentioned earlier in this article, your nursing school will “groom” you to pass the NCLEX. What I meant be that is: many schools use NCLEX preparation programs such as the ATI	or HESI. Curious about the NCLEX pass rates	for your school of choice? Each State Board of Nursing provides information regarding the pass rates of students and compares nursing programs throughout the state, such as Florida	and California. Knowing the NCLEX pass rate may help with your final decision in choosing a nursing school. A high pass rate doesn’t necessarily mean that it is a better program. Nevertheless, it is a good indicator of how well the school prepares students to pass the NCLEX. It ensures that a large number of the school’s nursing students possess the necessary nursing knowledge for entry-level practice. A consistent record of NCLEX pass rates also attracts qualified new students to a college or university offering RN programs. According to the National Council of State Boards of Nursing in 2012, 194,898 candidates took the NCLEX exam. 150,266 were first-time US-educated students with an average pass rate of 90.34%. Whereas, 7,764 first-time internationally-educated candidates average pass rate was 36.59%. The problem here relates to English not being their first or primary language. Be sure to study, prepare, and be ready on exam day to help your career in nursing.